I've only listened to Return to Castle De'ath so far, but it's a total mess. 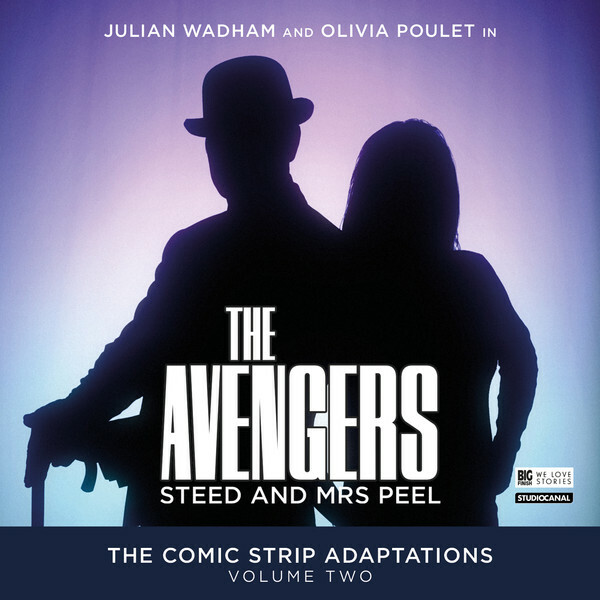 The script is all over the place - Steed and Mrs. Peel are very cold and distant with everyone (including each other), while the minor characters are so over-the-top and cartoony in comparison that it actually feels like a parody. The leads could be anyone - they don't need to be Steed and Mrs. Peel at all, because there's no recognizable characterization. Nor do they spend more than five minutes together the entire show - they split off from each other almost immediately to hang out with two (very annoying) minor characters. Steed's a coward and an incompetent, Mrs. Peel wooden. Neither has a sense of humor. The plot is nonsensical, and gets more so as the story goes on. I think they were going for the comic strip aspect and so went to extremes, but none of it blends. It's just a disaster. For old times sake I let my curiosity get the better of me, I heard them all over the weekend, truly, truly dreadful. Poulet in particular is absolutely dire, forced and unnatural. I heard a bit of the free sample as well and sadly had a similar response. His Steed does sound different from the Lost Episodes (which I really enjoy), and her Emma unfortunately sounds to my ears like an Uma Thurman Emma Peel rather than Diana Rigg. Slightly cold? Lacking Rigg's strength and playful melodic tones. I'll give a full episodes a proper listen later, but so far I'm not drawn in. The magic of Macnee and Rigg is clearly hard to recreate/adapt. Emma unfortunately sounds to my ears like an Uma Thurman Emma Peel rather than Diana Rigg. Slightly cold? Lacking Rigg's strength and playful melodic tones. That's my thought, she sounds exactly like Thurman struggling to do Emma Peel, it's just not natural. That said, I don't know if it's just me, if she had a slight cold, or if 'The Norse Code' was actually the first story recorded, but Poulet sounds very different in that one. Lower toned, not quite so 'tinny', more subdued compared to the first three stories, I preferred it. Yeah, The Norse Code is definitely better than Return to Castle De'ath - more like an actual Avengers episode than a bad parody. But I agree about Poulet: she's very cold and distant, has none of the warmth that Diana gave the character. Her and Wadham have zero chemistry together; their banter feels forced, when not downright creepy. To be honest I think Poulet sounds SO much better in the interviews, if she had adopted her natural voice for the audios instead of trying so hard to sound like she was 'to the manner born' I'd probably have liked her. I think it demonstrates that this series really doesn't understand or care to understand the characters - they're superficial caricatures, not new interpretations. They have no depth, no soul, and no humor. At least that cover isn't as embarrassing as the last - doubt that the episode quality is going to magically improve, though. The covers are very disappointing considering that their Doctor Who covers are usually so creative. These just look rather amateur but this second one is an improvement. They should have used some of the artwork from the original comics as the cover art! By the way, did they ever get the rights to re-release the comics in a bound edition? They're advertising the book, so I believe they have. Agree, the cover of second volume looks a lot better than the first, despite that it is carried out in a simple manner. Good set of colors and a kind of stylization. But must admit, when I first saw it (cover of second volume), I decided on moment that it is scan of the back side of the editions "Steed and Mrs. Peel". The only worry I have is that the first volume was publicised with one design and then released with another, so I'm not sure quite how final that Volume 2 design might be. Yes, quite possible, Alan, that change for design of current cover of second volume will happening too. Curiously, the first design of the volume one I like more than the actual release. Well, first design is done in a good-natured manner, soft colors, evokes past times, when actual release of cover - Avengers style brings very little at all. 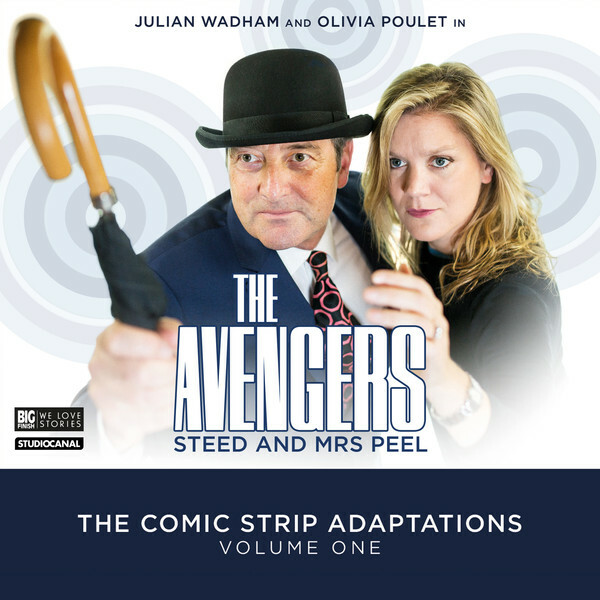 But this is only a single cover of Avengers from Big Finish, which I do not like. 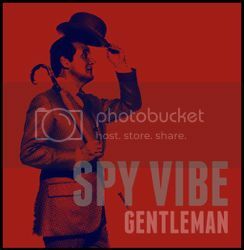 Others: John Steed and David Keel (very well, or at worst - neutral, but never not bad). I agree, its an absolutely terrible cover for Vol 1, just daft comedy poses with no TV inspired thriller creativity - Steed's bowler looks ridiculously too big and even his umbrella is smooth handled - cardinal sins. The Return To Castle Death episode is far too manic - almost hysterical at times - what happened to the compelling thriller tone? Have the writers really studied the spirit series 4? 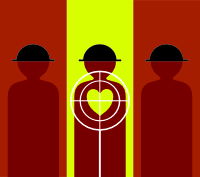 The Vol 2 silhouette image is an improvement and looks more serious. I hope they keep it. The Dr Who covers are so much superior. You would think they could afford a bowler that actually fits Julian's head. The Return To Castle Death episode is far too manic - almost hysterical at times - what happened is the compelling thriller tone? Have the writers really studied the spirit series 4? I'm assuming that since these comics hail from a period that coincides with Series 5, it's that season that the tone is based on. However the source material being designed for children rather than an adult/family audience has hamstrung the productions in my opinion, and the tone and level of sophistication is way below The Avengers usual. I don't think that's a problem with the scripting, rather it is with the source material which is pretty infantile at times. The Diana comic strips' good reputation is, IMO, almost entirely down to the quality of the artwork, which is definitely the best from the time of the series transmission. The stories, though, are exactly what you'd expect from a children's comic.